Spring is finally here and the birds are building their nests. It’s a perfect time to read this simple yet beautiful picture book. 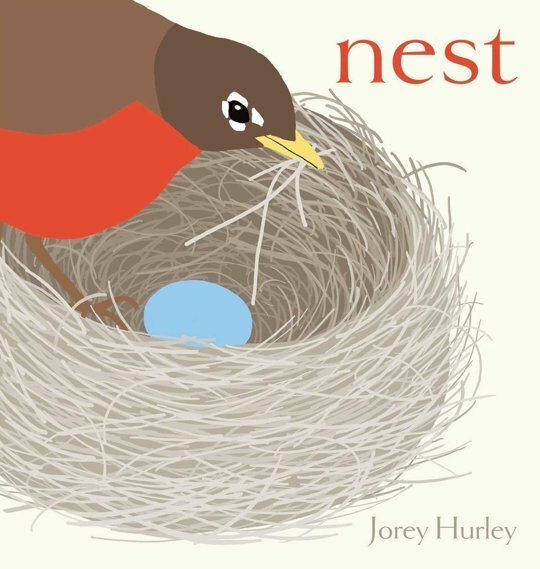 In Nest, artist Jorey Hurley depicts a pair of robins from nest building to caring for their chick and back to nest building again. The text is minimal, with only one word per spread, yet the pictures manage to show not only the nature cycle, but feelings of safety, love, and danger. The simple text allows you to tell the story in your own words, sparking conversation about the circle of life and the growth of all animals, children included. I’ve been watching several bird couples building nests around my yard. A great follow-up to this book is to give the birds a little help in finding nesting materials. Gather some narrow strips of natural fabric and yarn, small twigs, shredded paper, straw, moss, even dog hair. For a container, use a mesh produce bag and hang it from a tree. Or, just set the materials in a box outside. 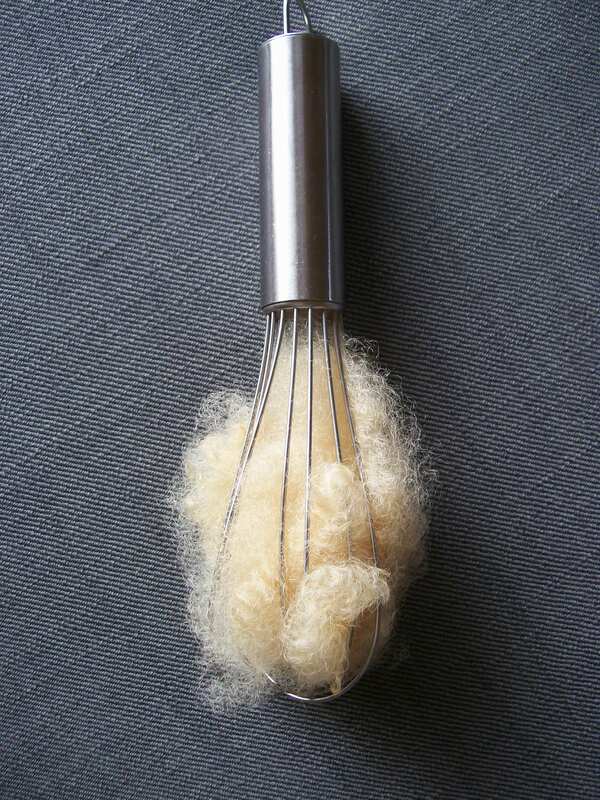 If you have an extra whisk in your kitchen, fill it with some nesting materials and hang in from a branch. Here is one that’s all ready to go, filled with wool roving. What a wonderful surprise it would be to find some of your offerings woven into a nest in your neighborhood.